Mine occurred during the fall of 1980. My children’s father and I had decided to spend a year exploring the United States while I spoke at 100 different churches around the country. We bought an old Checker Marathon to drive around in, and a 28-foot travel trailer to tow behind for all of us to cook, eat and sleep in. Together, with our four children under the age of 13 and two cats, we left Oregon on an adventure of a lifetime. Our first stop was California. We parked at the state campground in San Clemente while I began meeting with different people, scheduling workshops and learning the ropes of something I didn’t yet know how to do. It was October, and my two older boys, John and Rich, loved to go down to the beach so they could ride the waves on their boogie boards. He ran to get the boogie board, and when he came back, I could tell he was sad. “Somebody took the boogie board. It’s gone,” he said. At that time, boogie boards cost about $80, and we simply didn’t have the money to buy a new one. We soon found out that because we were right by the beach, boogie boards for sale get scooped up fast. Days went by, and we had no luck finding a boogie board at any garage sales we visited. 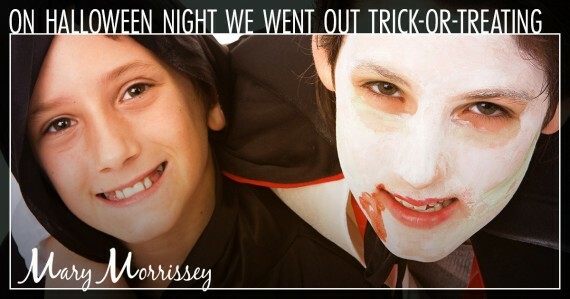 When Halloween night came, we didn’t have money for costumes, so the kids put on some different clothes we had, I put makeup on their faces, and we went out trick-or-treating. We also gave out candy and ended up having a fun night! About a week or so later, we went to the local mall to buy a new pair of shoes for John. While we were at Foot Locker, John struck up a conversation with a young sales guy in his twenties, and they started bonding over football. The young man asked my son what he did for fun while he was in California. John told him how he loved to boogie board and then told him the story of losing his board. So we got into the car, started following this young guy to his house so he could give John this boogie board, and I looked at John. Long story short, John did get his boogie board, and he and Rich went back to having their fun in the water. I told John later that I didn’t know if God was the one who rewarded him, but what I knew for sure was that John felt better about himself because he did what he knew was the right thing. It doesn’t matter what the world knows. Deep down, you know who you are and what you do when no one is looking. There’s a place inside of you that knows that when you live in integrity with who you really want to be, good things go before you and good things will come to you. From our family to yours, Happy Halloween! I agree… I Do Believe tht he was rewarded by God, FOR SURE! And because he was aware and did do the right thing, I believe that, then he got to see that the Lord rewarded him! When we are aware of that process maybe it will help us to continue to do the right thing, so therefore we may then continue to enjoy the blessings that come with “Doing the Right Thing” Now i hope i got that out correctly.. because its all about God! Because we would have NOTHING, if it wasnt for Him… Thank you Jesus… But i do still agree, that was a beautiful story.. Good job John.. .
That was nice inspiration to my next steps. I cried because something hard for me is to make peace with today I went through a separation and me my kids struggling is my heartache but how do I face myself and also find peace with my steps to move pass this hurt and changes. I may accept me for my good habits and try till we succeed. Wearing or hiding behind my image only prolonged our family from its healing. Again, I do blieve… Its all about God… He awaiting, for you to ask for His Help, Guidance, and Forgiviness for your sad situation. But there is Hope..
You have just got to have Faith, in ourúlll Lord, Jesus Christ!😇 Good Luck.. I really like this story it could teach a lot of people about truth and honesty. It really needs to be shared. Thanks so much for sharing this story! I’ve been canvassing for a political party, and we’re required to knock on a certain number of doors. It was cold and raining today, my feet and shoulders were hurting and I was tempted to lie about the numbers of houses I approached simply because I was tired and hurting. I decided to be honest, because that’s my trademark. Well, at the end of the shift I was surprisingly offered a leadership role with a pay increase! HA! You’re right — it may or may not be a “reward” from God but I certainly felt good about myself after choosing have integrity. Truth in you heart’s reflection can be seen outwardly in your honest eyes. This story is a perfect example of: What we do comes back to us. When you point your finger at someone else, where are the other 3 fingers pointing? At you. Even your thoughts are vitally important. When you think bad thoughts about another person, that reacts in your life in some way. And when you do a good act or think a good thought about someone, it blesses you. This is a law. It’s wonderful when we see it proved as in John’s experience. Often we don’t openly see the results of our good acts and thoughts, but the results are there. Sometimes I’ve learned about something I did years ago that really helped someone. Yet all those years I had not known that. It doesn’t matter if we see instant results with our eyes. When we bless others, we inadvertently bless ourselves, often in ways that are not obvious to us. The hardest is blessing our enemies, but we can do that too, and it frees us from negative, fearful, hateful thoughts (and often in other ways as well). It is a joyous, loving, and wonderful way to live. I have always believed that it is important to live my life with integrity. And with your Hallowing story, I am realizing that i must live with integrity with who I really want to be. Beautiful story and always love the way you see life. You are a blessing to me and so many people around you. I love your Dreambuilder course and it has helped me take action in building my dream. Thanks for all you do to help everyone around you. Very nice Story to share. You are right so what should we do for all the things we better hadn’t done? Obviously your sons understood early, and well, their relationship to God. That’s great!! Inspiring story with a lesson I have always done my best to follow. Years ago I bought ome groceries and when I got home and looked at the receipt I noticed an item that I intended to purchase and it was missing from the receipt. I went back to the grocery store and when I explained my reason for being there the clerk looked at me in disbelief. She explained that people usually go to customer service to return something or complain not pay for something that was missed by a cashier. She thanked me. I paid for the item and left the store feeling relieved and proud that I had done the “right thing”. Thanks, Mary. That’s the kind of story that inspired me to follow you beginning years ago when I saw you on The Wisdom Channel. A beautiful story of being true to oureselves is always rewarding. Thank you Mary for your integrity. I’m a good teacher who love ver Kiss, but I can’t continue teaching the way the schoool system Ford, short times, lots of different exetcises, non profound knowledge… running, etc,. I hace fought with my inner voice telling me to stop. As a person I improved a Lot un the system, considered as a great teacher, responsible antes as a good server. I know the year is starting and I quited. It was a big fight but I hace a great relief! Wonderful story —great advice at the end…. thanks for sharing “golden nuggets” of Life !! What a precious lesson I learn from John. Although I have head that voice in my life, I feel so amazed to learn that a young boy not only head that voice as well as he obeid it. Both my parents have Aspergers so they’re exceptionally clever but there was never any love/warmth. but…I was taught honesty and just like your son, tiny things, that maybe others would do that I would see as wrong, I don’t do as I know I get that uncomfortable feeling inside as the action doesn’t align with my values. Your family sound close, fun and genuine…beautiful. Thank you for sharing this story, it is a wonderful memory and a great reminder! Thank you so much for sharing this story.God was just reminding me of who we are in Christ Jesus, I needed to hear about integrity at this point in my life. It’s just like quitting, you can quit, and no one will know or care….but you, you will ALWAYS know!!! Lovely story! Thank you Mary! What a wonderful story! Thank you for modeling and sharing living in integrity with your heart’s knowing!! Beautiful! You made me laugh cry. Thank you for this message..
To be honest I have been in crisis mode for the last 8 months… Starting with a failed relationship a move and trying so very much to get out of a 15 year career as an Emergency/Trauma RN … Due to numerous assaults both minor and major my body and mind can’t take it anymore … but I’m struggling financially and trying to do the right thing. I recently took all the money I had left in my retirement plan to pay bills and my rent. Your story hit home and tells me I’m being true to myself. I didn’t like the person I had become working in the ER …. THANK YOU!! Knew that lesson deep down inside, but have begun questioning- not about doing the right thing, but if it actually comes back to you….. Thank you Mary and John. I needed that. Personal integrity does not seem to be valued in this political climate. Stories like yours provide an antidote and show that even though I can’t fix the world, I have control over who I am…and that’s big. 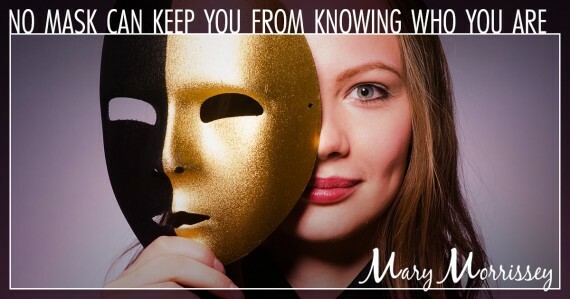 Mary – That’s a wonderful story! You are so special! 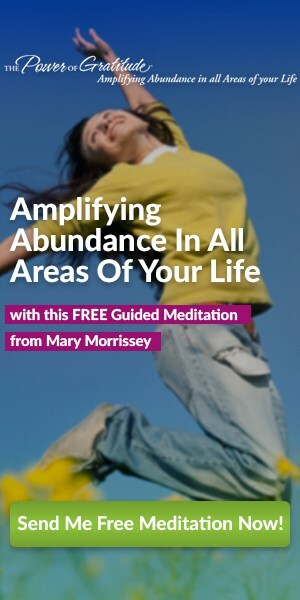 At the moment I’m taking a channeling course – something I’ve always been interested in, and have just started an on-line business, in addition to everything going on in my already busy life. You inspire me! Thank you. 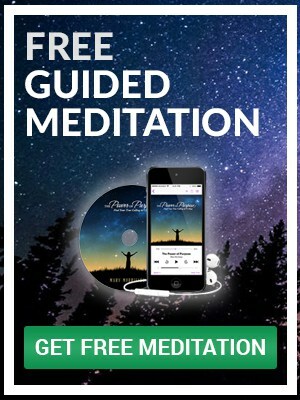 One of these days I’ll sign up for your dream-builders’ course, which sounds wonderful! Thank You for this Lovely Story Of integrity!! This has moved me to tears…which I will try to write about to thank you …BUT REALLY TRYING TO FINISH MY BOOK AND REALLY TRYING TO STAY FOCUSED. ENJOY HALLOWEEN. Mary, You are a wonderful lady! Thanks for sharing this story. That’s such a lovely story and inspirational message. I used to tell my daughter’s that life was not a popularity contest. Just be kind, do the right thing….the way you would want things to happen to you….and you would feel good about yourself…and everything would be fine. Very wonderful story. You raised John right! Very insightful message about doing & living the Gospel in everday experiences! That was a wonderful story. And it is so true. I enjoyed reading it. Thanks! Thank you for a lovely reminder of what character and integrity look like in a day and time when a lot of people have lost these two important features of being! Amen I needed this reminder.